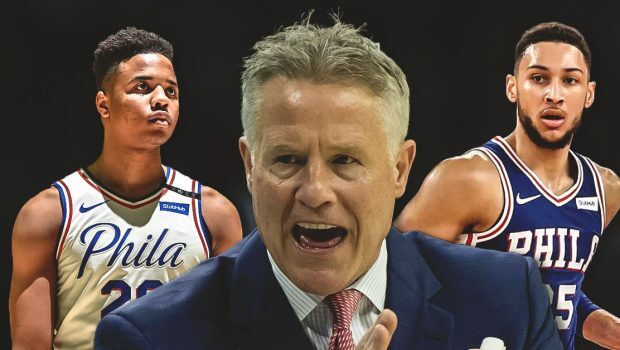 Sixers coach Brett Brown is done with the talking points. No.1 overall pick in 2017 Markelle Fultz in 2017 and No. 1 overall pick in 2016 Ben Simmons and how they should play together. 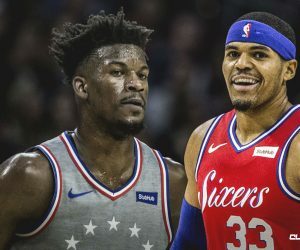 They need to improve their “shooting and spacing” in order to be more effective as a tandem on the court, per Tom Moore of the Bucks County Courier Times. 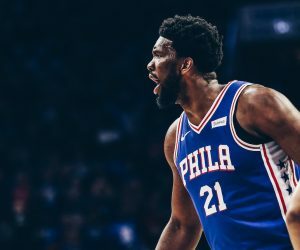 Brown made the decision prior to the preseason that Fultz was going to start the season alongside Simmons, Robert Covington, Dario Saric and Joel Embiid. J.J. Redick, one of the best pure shooters in the league, would come off the bench behind Fultz in the first half, but would start the second half of games in Fultz’ place. Fultz endured a brutal and bizarre rookie season that had the entire NBA community question his shooting ability. 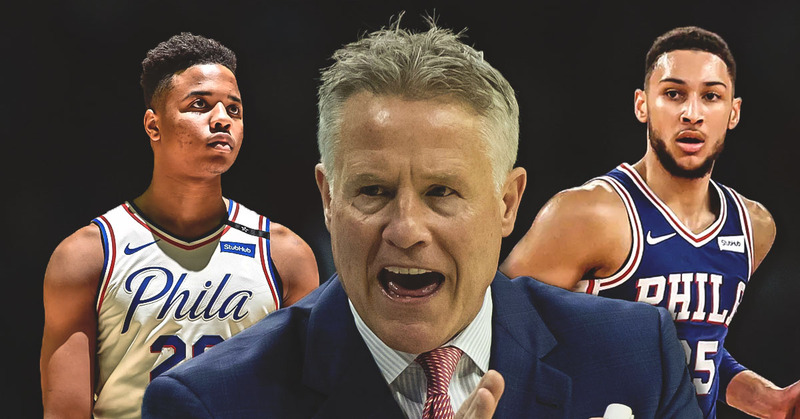 Going into the season, the decision to pair Fultz, whose case of the shooting ‘yips’ was well documented, with Simmons, who has never made an NBA three pointer, in the backcourt was questioned. In the modern NBA where spacing is valued, the move left the starting lineup with just two above average shooters in Saric and Covington. A non-shooter at this point in his career, Simmons plays better according to net rating when he is surrounded by players who can all shoot the rock. 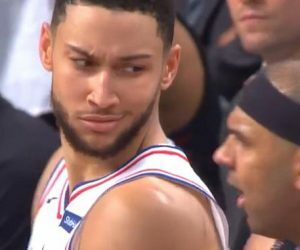 The Sixers are above .500 at 6-5, but the pairing of Fultz and Simmons has not been successful. In 98 minutes together, the duo have a offensive rating of 89.3 and a net rating of -6.3. The Sixers have an overall net rating of 1.26, so they have been a worse team when their duo of #1 overall picks have played together. Ben Simmons has yet to even attempt a three-point shot this season while Fultz is shooting 31% on just 13 three point attempts this season. Previous FLYERS HAVE NO NHL-WORTHY GOALIE, AND THAT’S THE ELEPHANT IN THEIR ROOM! Next SO, SIXERS FANS, WHAT DO YOU THINK ABOUT THE MIKAL BRIDGES TRADE NOW?